Smock in the Press - Fall 2012 - Smock. Letterpress wedding invitations and greeting cards from Smock have been spotted in some amazing places lately, and today we’re excited to share the features that Smock has been a part of this fall! 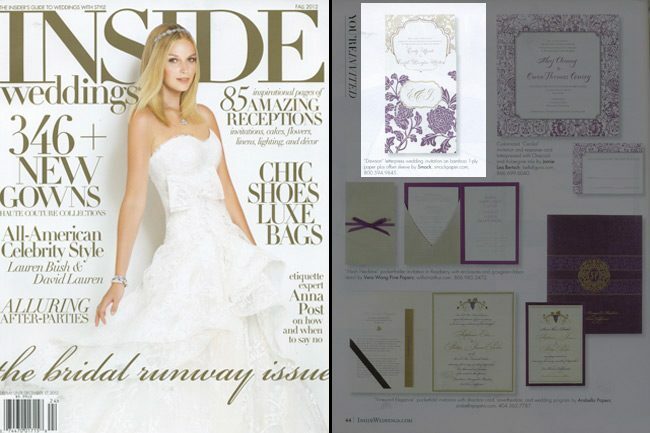 For their Fall 2012 issue, Inside Weddings magazine included a custom wedding invitation set from Smock that featured a letterpress sleeve and combined two of our most popular designs: our floral Rhon design paired with elements from our more modern Dawson design. 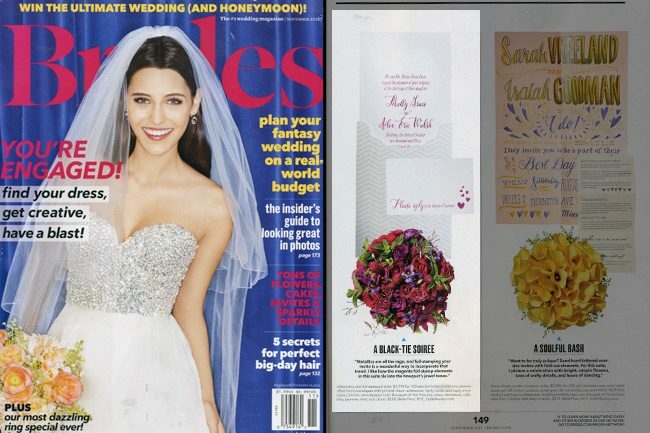 Brides magazine featured one of our new, foil stamped wedding invitation designs and matching invitation sleeve — our whimsical Tatra customization — as part of their November issue. 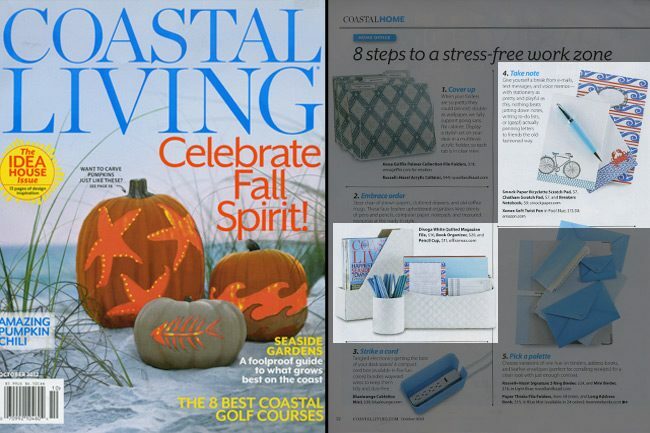 Coastal Living included several of our products in their October 2012 issue as part of their “8 Steps to a Stress-Free Work Zone” feature. Our Bicyclette and Chatham scratchpads ($7 each) and our Breakers notebook ($9 each) are perfect reasons to take a break from technology to write down notes the old-fashioned way. 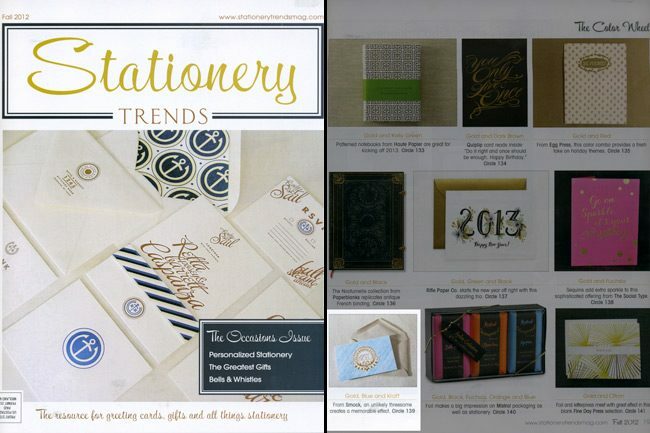 Stationery Trends magazine featured one of our new holiday cards as part of their Fall 2012 issue — our Joyeux Noel card (which features letterpress and gold foil stamping) was included in a piece all about gold. 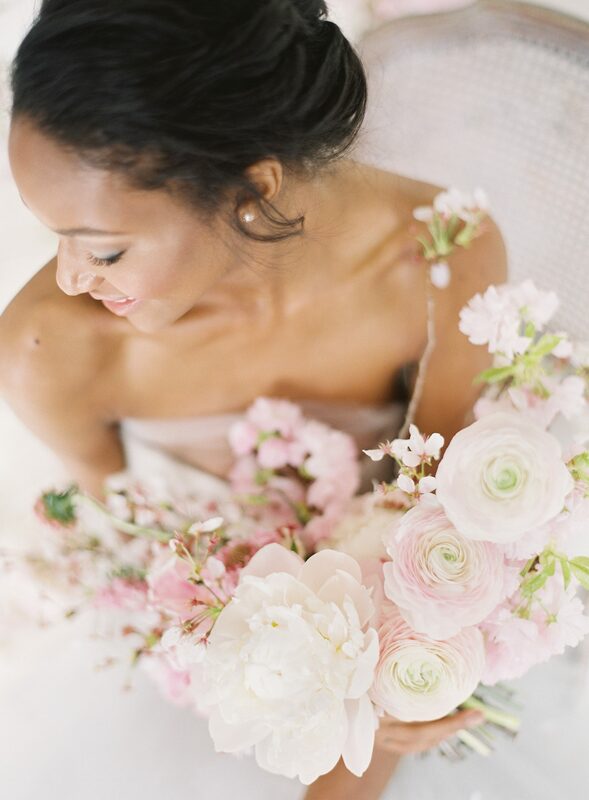 And of course, we can’t forget about the amazing bloggers who have been featuring Smock online these days — Oh So Beautiful Paper, Discover Paper, Going Home to Roost, Young House Love, Bustle Blog, and Creative Wish — we appreciate your recognition!